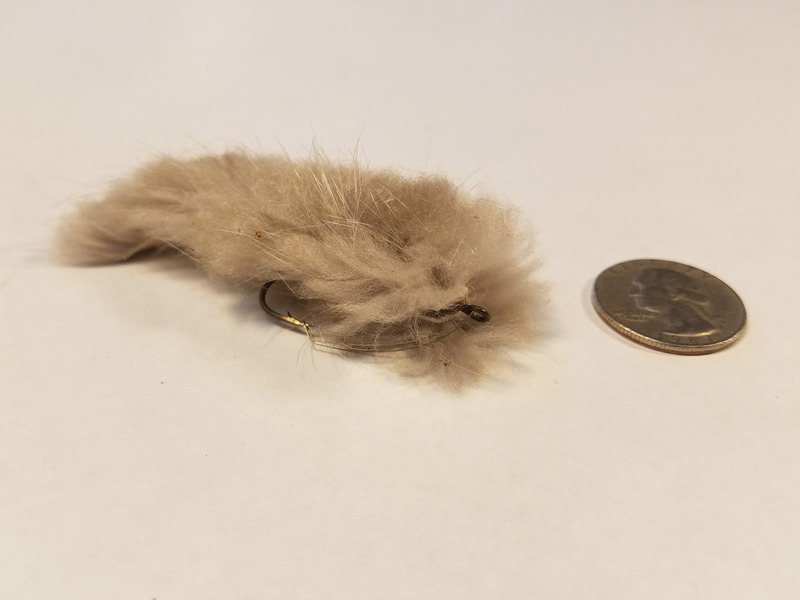 Big Game Fish Lure for Salmon, Trout, Bass, Pike, Catfish, etc… Made of Plush Winter Beaver Fur (stays afloat) and Deer Hide ears and tail, Weedless 3/0 hook, sparkly eyes for murky water, and a glass tube rattle in the nose of every one. Horse hair whiskers, all hot glued. Replicates a Shrew. Silver or Dark Brown. Mouse patterns are extremely successful large game fish. No more than 4″ long. The most NATURAL looking lure on the market today. Nowhere have I seen a more anatomically accurate lure. Beaver is a large Rodent, so naturally the fur remains dry except for the outer guard hairs. It is a Top water lure. 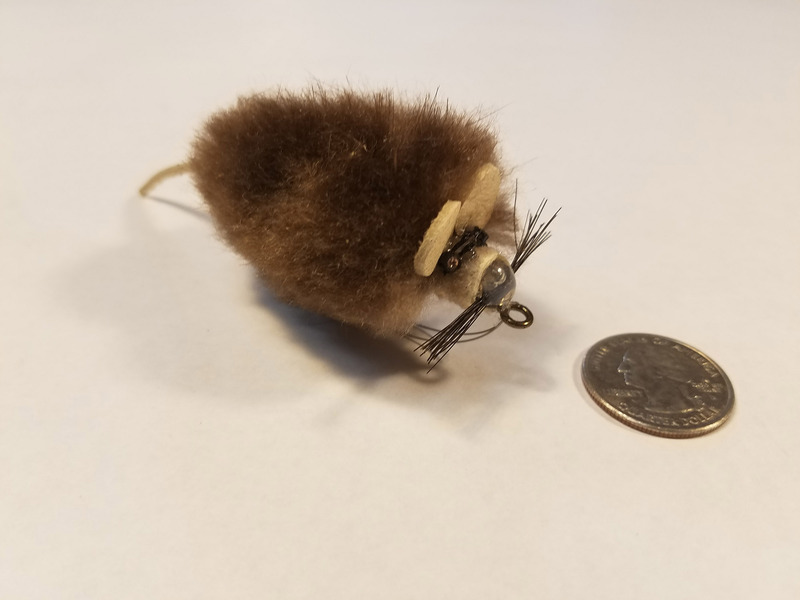 A good technique for fishing the far egde of a river bank with an undercut lay for Lunkers, is to cast to hit the bank at it’s edge and gently pull to let the mouse/shrew fall in as it would naturally by accident. If any weight is required to accomplish this attach a clear casting bobber, adding or subtracting the water to get the correct weight. Apply gentle twitches to your line to imitate a struggling mouse/shrew. The tiny glass rattle in the tail helps to attract as well. Deer hide tail and ears will dry soft, for a durable and long lasting lure.